"The 60s, like old vintage stuff." I like the cut of her camel coat and how she wears it with a neutral color skirt, brown boots, and patterned hosiery. 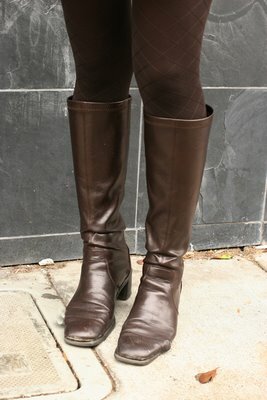 Her brown boots and matching patterned hosiery.